Focused on eliminating the challenges of B2B sales our CRM solutions are ideal to qualify your leads. Building and maintaining better business-to-business relationships is easy with advance CRM. One of the most valued advantages of using B2B CRM is that the record of conversations between customers, sales reps and other staff can be accessed easily. You can easily access the activity timeline in CompanyHub’s B2B CRM. This will give you better insights on a contact/lead. Streamline your business and drive higher B2B sales. Connect B2B CRM to your existing system to reap the countless benefits of the software. We offer fully-integrated, advanced CRM solutions that will not only drive your B2B sales but also increase business efficiency. 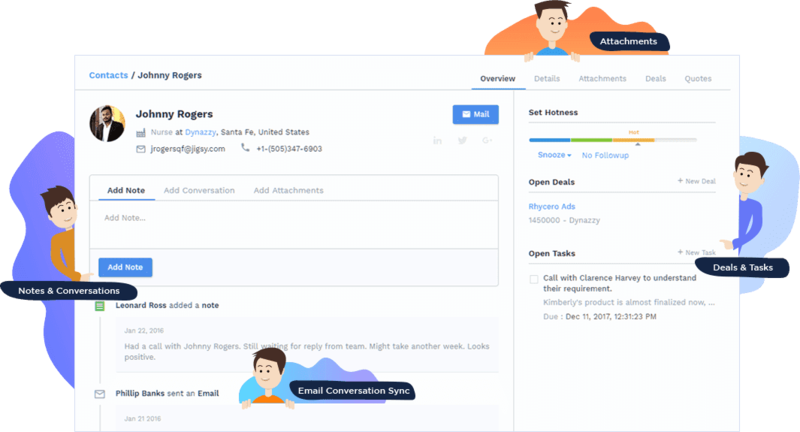 CompanyHub’s CRM solutions feature impeccable design. You can easily maintain and strengthen business relationship with your B2B customers. Our B2B CRM software will reduce the possibilities of manual errors and enhance the productivity of your staff. The sales reps can execute automate the actions based on behavior and values of the customer. Collaborate with us if you wish to get the best solutions for your B2B business.